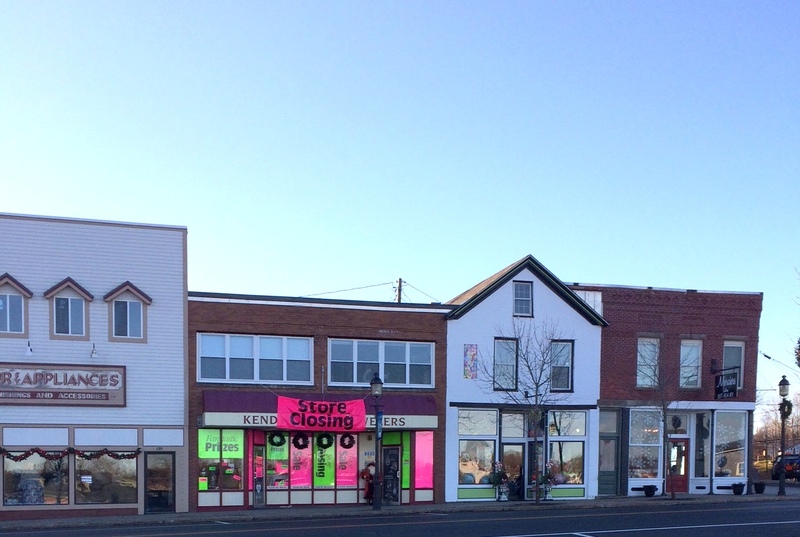 We note with regret the closing of Kendall’s Jewelers even if, as hoped, it proves to be only temporary. 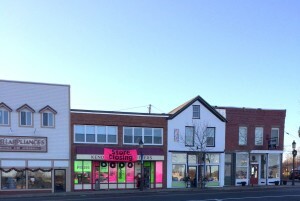 If the business does not reopen it is yet another setback to the valiant efforts of the Redevelopment Committee to keep Main Street viable as a shopping destination. It also says a good deal about the economic and social changes which the new economy has wrought on the business community. 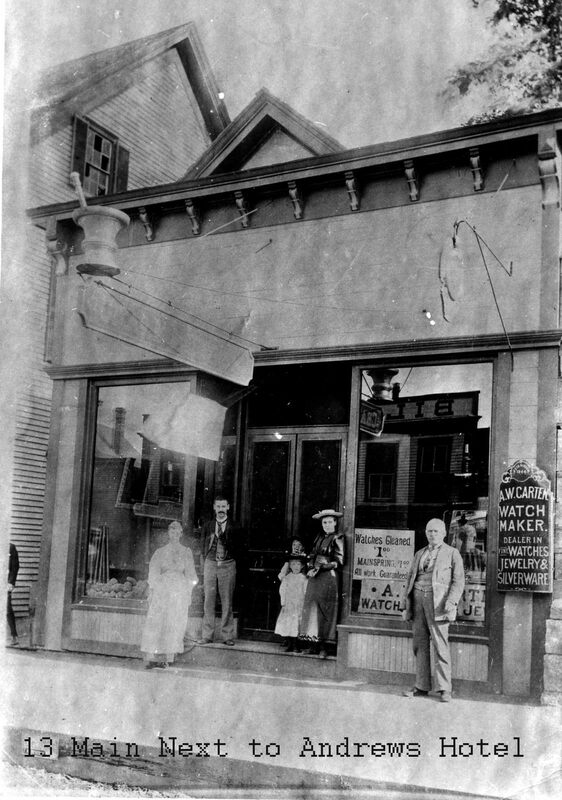 In the past a good jeweler was as essential to the community as a good doctor or lawyer and a lot more pleasant to visit. Today a local jeweler can still offer professional advice on many subjects but many shoppers prefer the convenience of the internet. 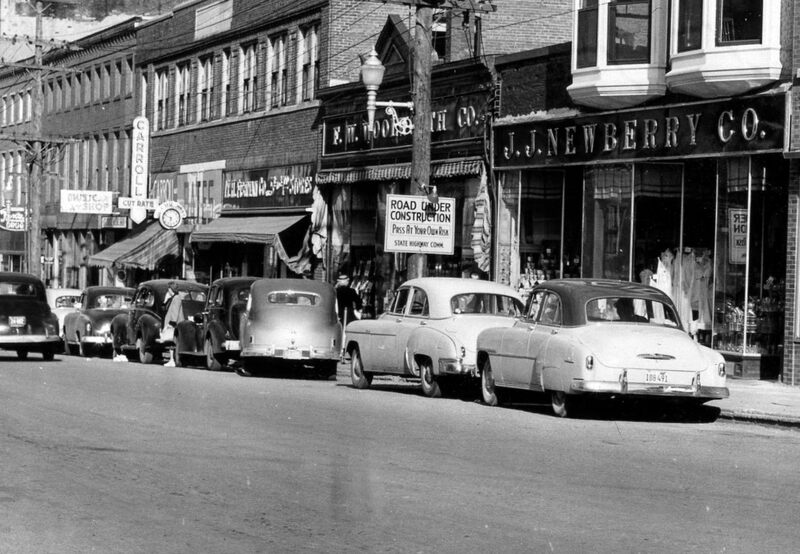 In the past it was only the local jeweler who could made sure you weren’t half and hour late to an important appointment but that you didn’t get lost on the way. 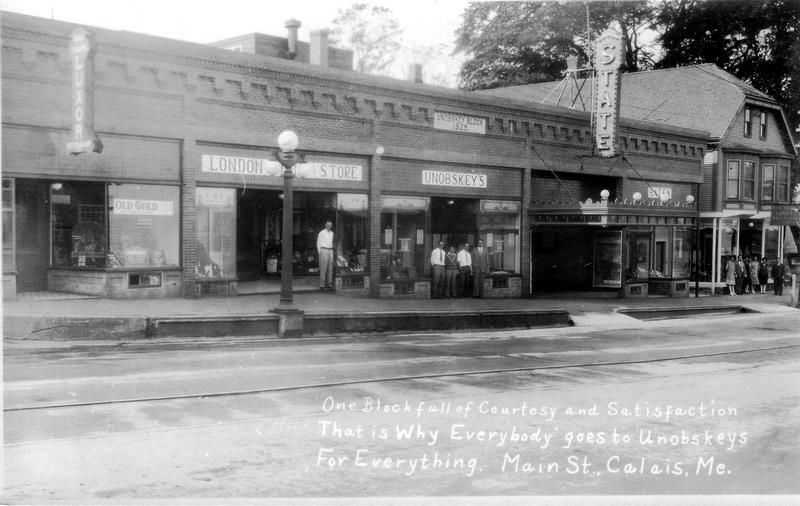 If Kendall’s does not reopen next year it will mark it the first time in 175 years Calais has not had a jeweler. 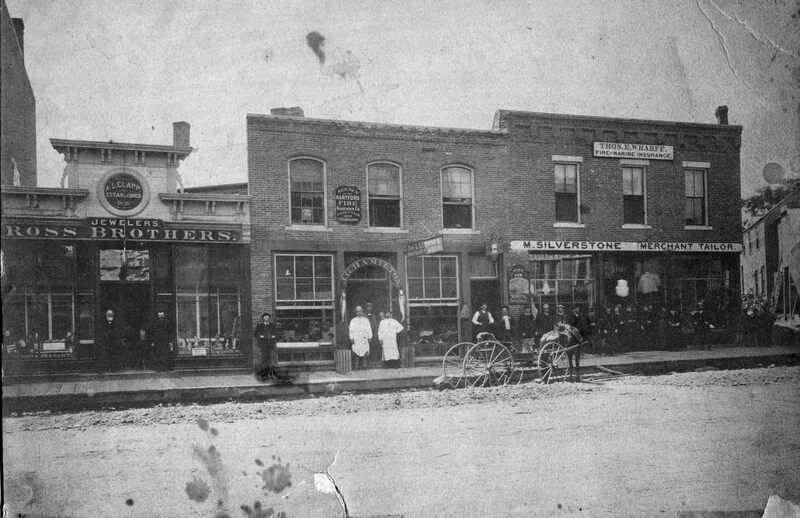 The first jeweler in Calais was probably A. L. Clapp who set up shop in Calais in the 1840’s and, at the time of this 1870’s photo, was located in the small building on the right just beyond the white fence. 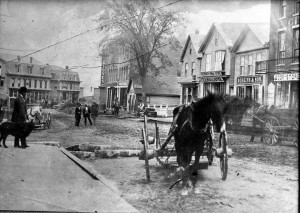 The sign just to the left of the tree say A. L. Clapp Jeweler. 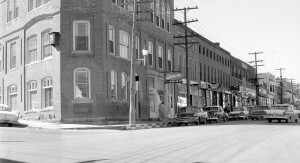 The large brick block just beyond Clapp’s store is directly across from the old St. Croix Hotel and now houses a number of recently renovated storefronts.. The “Stoves” ad, upper right, is on the corner of what is now Karen’s Diner. 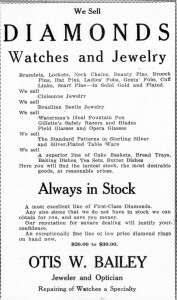 The sale of jewelry, as in fashion and accessorizing, was not Clapp’s primary business. Clapp was an “oculist” and watchmaker, two very valuable skills in those days. As business became more complex and sophisticated, it became important to “be on time” and as people read more and more, and in the 1840’s this would have been by candle or whale oil lamp,severe vision problems cropped up early in life. Eye glasses and accurate watches became vital to all walks of life and it was your local jeweler who provide these necessities. 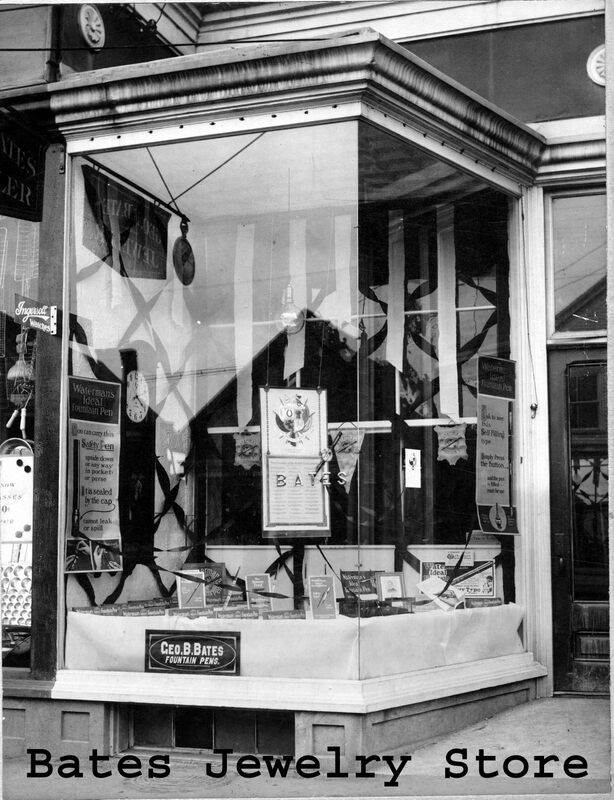 Watches were hand made and lenses for eyeglasses were ground in the store by the jeweler who over the years had acquired a certain expertise in making individual. 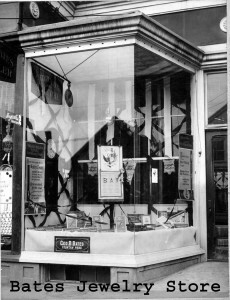 Clapp had a monopoly in Calais for many years. 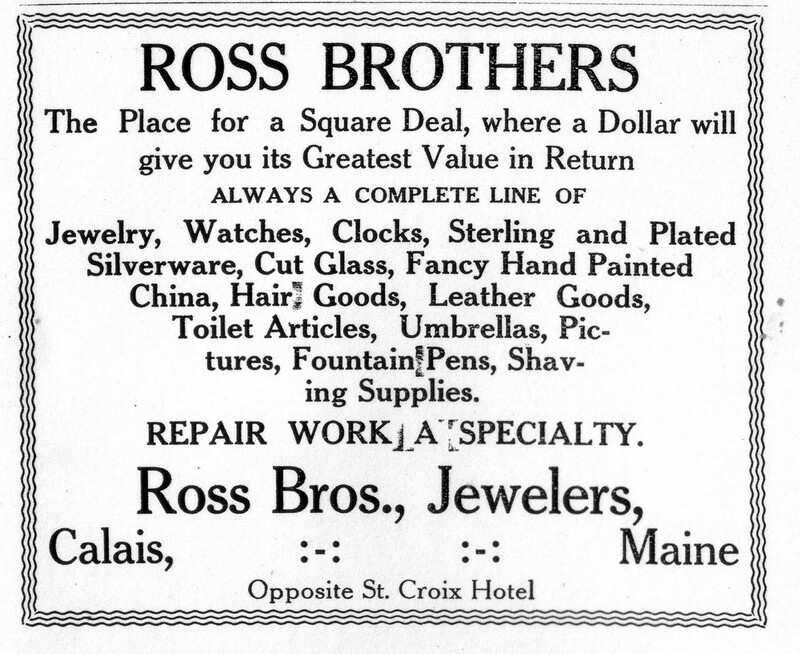 Ross Brothers who bought out A. L. Clapp in the 1870’s. 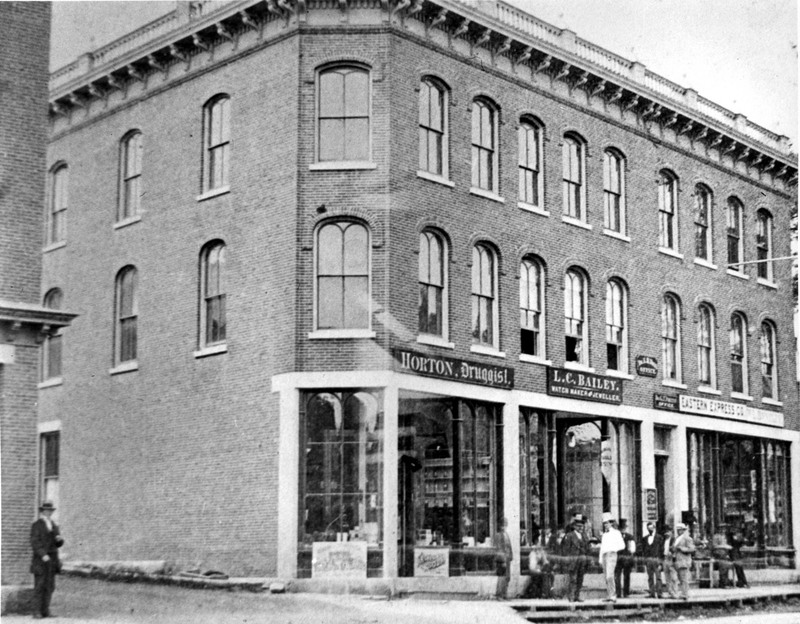 Clapp had apparently replaced his old shop with this new one story building which the Ross family eventually demolished and replaced with the brick building most of us remember as Ross Brothers. 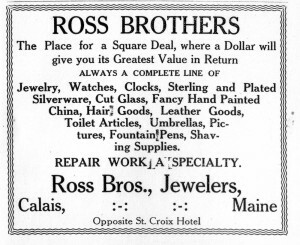 Ross Brothers was in continuous operation for almost a century, nearly 20 years longer than Bailey. 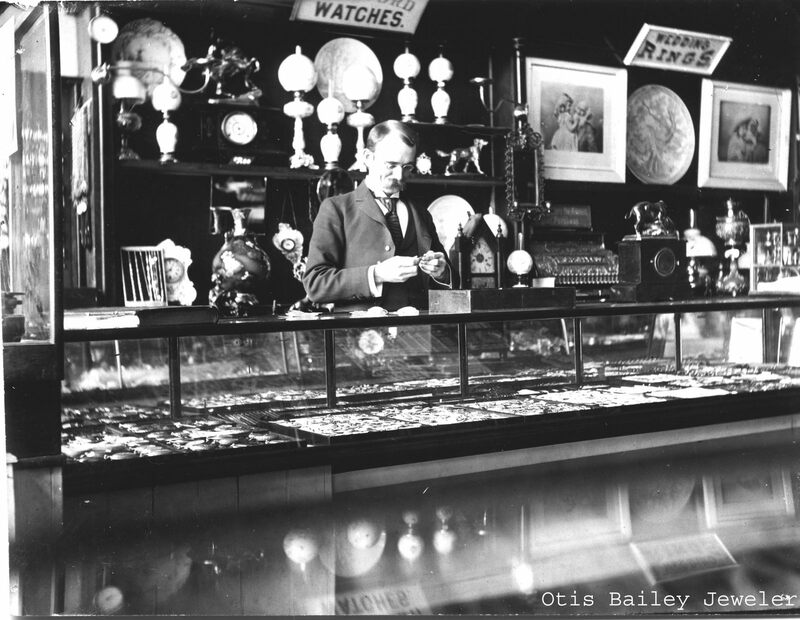 However it must be said that L.C.Bailey, Otis Bailey and A. L. Clapp were probably more highly skilled craftsmen in both optometry and watchmaking than Ross who, by 1914, was specialized primarily in high end jewelry, cut glass, etc. 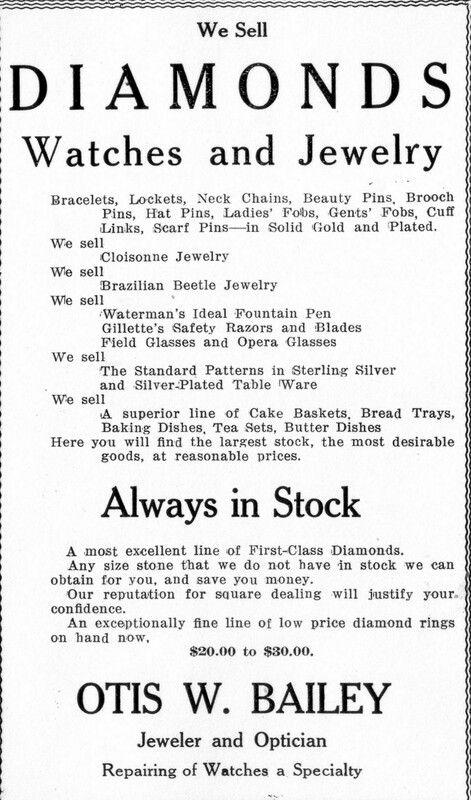 In 1914 Bailey continued to tout his skills as an optician although both stores had more similarities to the jewelry stores of today than A.L. Clapps’ business in the 1840’s. so William quit and opened Rutherford’s Jewelers which graced Main Street for many years. and finally a fellow named A.W. 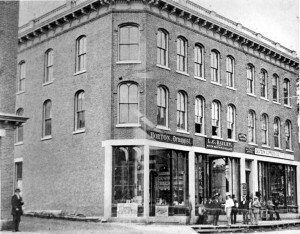 Carter had a jewelers next to the Andrews Hotel by the bridge for several years. 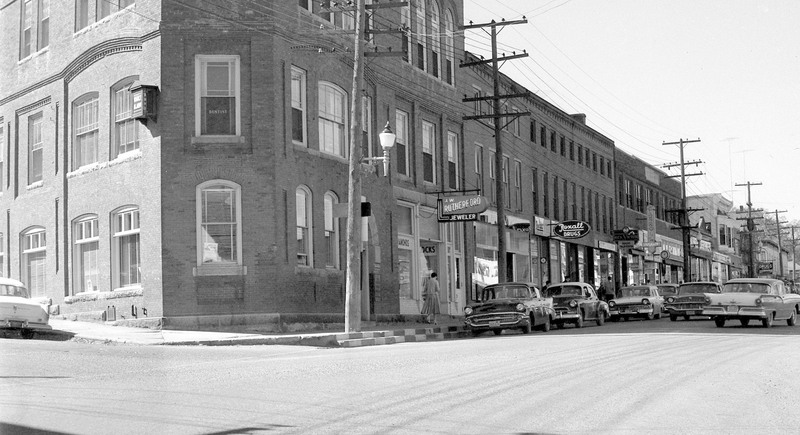 He charged a mere dollar to clean your watch and for only another dollar he would replace the mainspring, a fair price as a good watch cost the equivalent of nearly a thousand dollars in today’s money.